Randon Orbital Action. 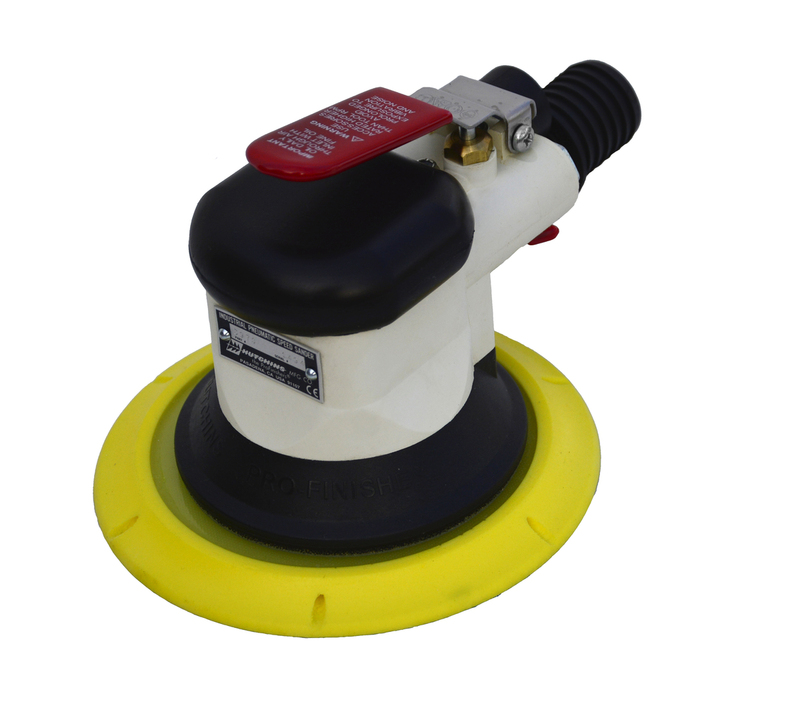 The 3970 Random orbit sander is the same as our model 3570 except it is designed for Industrial and Hi-Production applications where high performance sanding and dust containment in conjunction with an external vacuum source is required. With a revolutionary motor design, the 3970 delivers Ultra high speed sanding with legendary Hutchins balance and durability. Designed with a captive pad orbit, the 3970 delivers up to 40% more sanding performance and 50% faster operating speed. Now equipped with a vacuum swivel port to make the sander more comfortable and reduce vacuum hose kinking. If you want to use a coaxial hose assembly, the hose assembly has been superceded by Part No. 780 which must be purchased seperately. In order to connect the tool to a vacuum hose without using the #780 Hose Assembly, please use either 5301-2 or 5301-5 vacuum connector. 6" PSA Pad Standard.